In its initiative focussing Central Asia and the Caucasus the Foundation especially supports the capacity development in research and higher education in the region. In Tbilisi, Georgia, 11 postgraduates now benefit from a novel, clearly structured doctoral program. 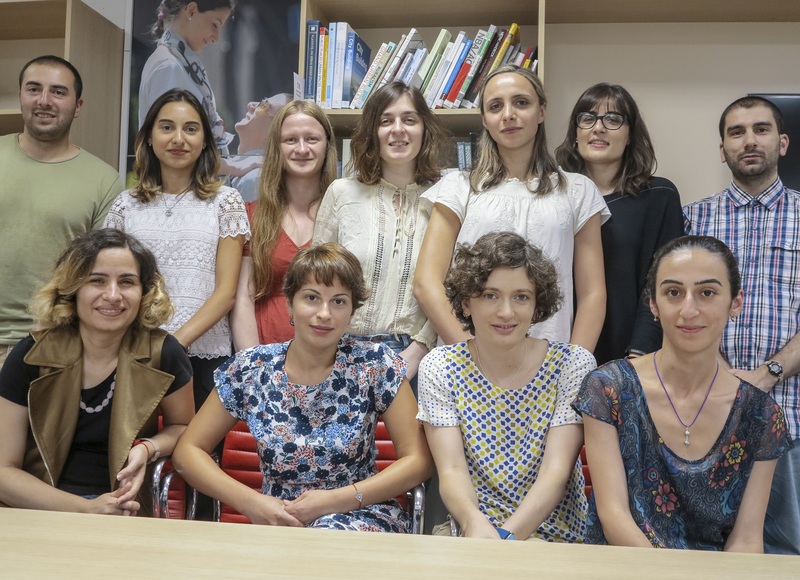 An exciting time has begun for 11 Georgian doctoral students: In the context of the first structured international doctoral training program offered at the Ilia State University (ISU) in Tbilisi, they have started work on their binational doctoral projects. They were selected from a total of 68 applications. The special feature of the thematically open program funded by the Volkswagen Foundation is the close cooperation with the University of Göttingen. Both partners have agreed on clear study and mobility plans and competence training for the participants – with the aim of obtaining a doctorate jointly awarded by the two universities (cotutelle model). The first research and study stays have already begun: Not only for the students on the program. Their supervisors from Georgia and Germany also want to get to know each other's research environment and doctoral culture better, e.g. in the fields of astrophysics and chemical biology. Intensive cooperation between the program coordinators Aleksandra Bovt (University of Göttingen) and Dr. Martin Piazena (ISU Tbilisi) will ensure the positive development of this new type of cooperation. In a second step, the structures and offerings being introduced within the framework of the Lehmann-Haupt International Doctoral Program are to be consolidated and put on a sustainable footing: Ilia State University plans to establish an International Doctoral School (IDS) by 2022 as the umbrella organization for all ISU doctoral students. This model of a modern and transparent doctoral education according to international standards is expected to trigger a structuring effect beyond Tbilisi for the entire region. In a nutshell: Sustainable capacity development in keeping with the goals of the Volkswagen Foundation’s Central Asia/Caucasus initiative. For more information on the current doctoral programs supported in the frame of the initiative, please see the press release (May 3, 2018).